Great News! The new Gator McBumpypants adventure is now available! Treat the children in your life to the newest Gator McBumpypants adventure Gator McBumpypants Doesn’t Say Goodbye. In this (the fourth) Gator McBumpypants picture book, Dee Dee invites Gator McBumpypants and Herman on a grand adventure. They spend a wonderful day exploring, but Dee Dee hasn’t only planned a day of fun. She has something she needs to tell them. Why did Dee Dee plan a special day? And what big secret is she keeping for the end? This book is a nice companion piece to Gator McBumpypants in Dee Dee Makes Three. In that book Herman makes a new friend while out flying. 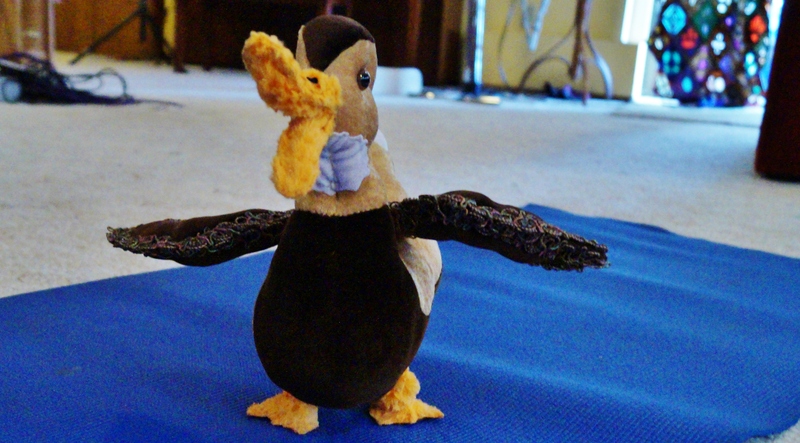 Her name is Dee Dee and she is a duck. Dee Dee is special because she can fly like Herman and swim like Gator McBumpypants. The book is about finding ways to play together even when you are different and have different abilities. I really enjoy how the visual contrast of the two books matches the differences in the stories. Dee Dee Makes Three takes place at the beginning of the summer. The majority of the photo-illustrations are in bright, direct light and the characters are presented in close, tight shots. It’s about the joy of making new friends and getting to know them. 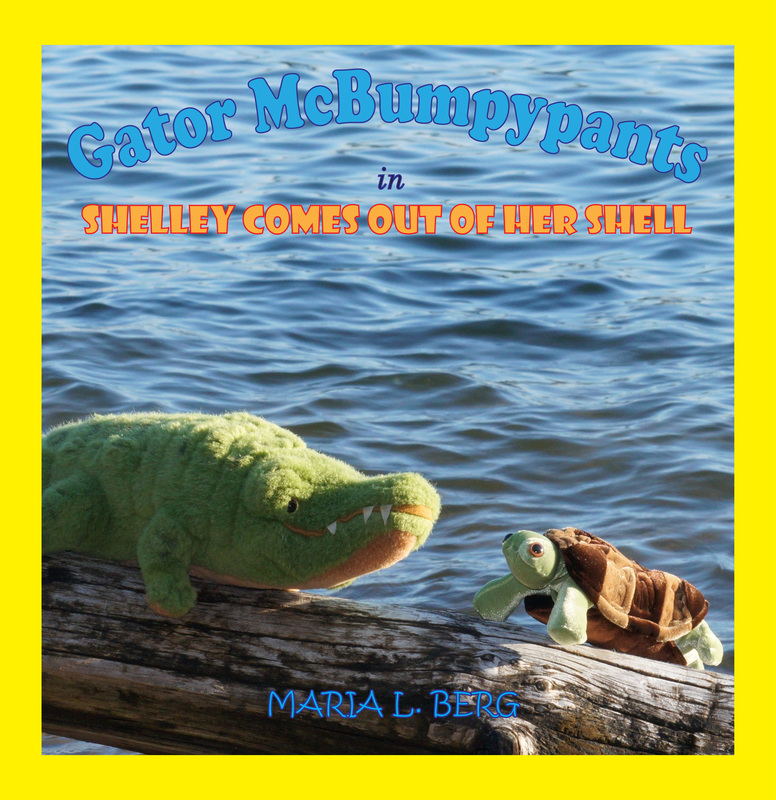 The new story Gator McBumpypants Doesn’t Say Goodbye takes place at the end of the summer and is about adventuring out from home. The photo-illustrations reflect this with long shots in slanted light and warm fall colors. So treat yourself to a mini-escape and join Gator McBumpypants and his friends on a fun adventure. 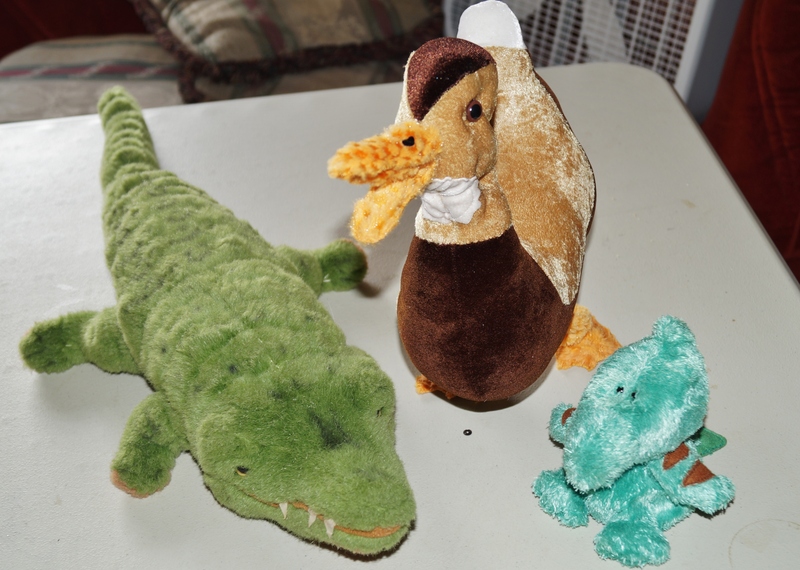 Though I did not write another 1,000 words since I reported yesterday, I did write 570 words to finish up the first draft of my third picture book in the Gator McBumpypants and friends series: Gator McBumpypants in Dee Dee Makes Three. That brings the weekend total to 2,014! By my math, I made it to the goal of 1,000 words a day (though I still have to write 1,000 today, but that’s for tomorrow’s blog). I’m very excited about this book, not only because it’s fun to take pictures of stuffed animals in the wild and tell their stories, but because Dee Dee is the first of my characters that I designed and created myself. Spoiler alert! I plan to make a box turtle next. One is a middle grade novel that I plan as a series. It’s about a nine year old girl who realizes she can interact with spirits to help them with their unfinished business. However, she doesn’t want anyone, especially her classmates, to know, so she creates a business getting rid of household noises. The other project is a series of short stories about a lake spirit. The story I’m trying to finish is called “Creation of the Lake Spirit” and is about half done. I hope to finish this week. As part of the Novel Recommit challenge, I said I would post my word count each day, so I will keep you posted. I have a couple of more instructional yet-to-be-finished blog posts saved in my drafts to dust off for you throughout the week and hopefully some very fun pictures of Gator McBumpypants and his new friend Dee Dee as the week progresses. The last month has been very busy in my writing life. I am happy to say that I reached my goal of sending out a draft of my novel to first readers on August 28th. I have already received some invaluable feedback and I am excited for more over the next couple of months. 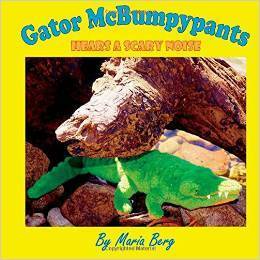 In the meantime, I set another major goal which is to write and publish the next Gator McBumpypants book. For the third book in my picture book series I wanted to design and build a new friend for Gator and Herman and she is finally finished. 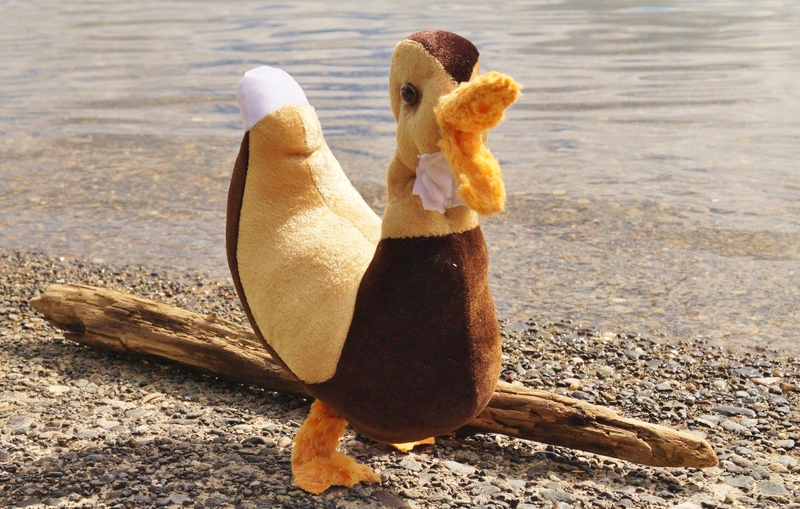 Meet Dee Dee the duck. This week I’ll start taking the photographs for the book, but I want to keep making progress on my other stories as well, so I joined Robert Evenhouse over at Part-Time Novel for his Novel Recommit. The goal is to write 1,000 words each day this week. I’ll admit I only reached 581 words yesterday, but I was inspired to get up early and write 863 more. Since I usually have trouble writing anything at all on the weekend, Robert’s challenge has already inspired me to write 1,444 more words than I would have written. However, the day is not done. Robert and I agreed to hold each other accountable by writing a blog post with our word count for each day. Hopefully, this is my report that I wrote 1,444 words for Saturday and tomorrow I’ll report at least 1,000 words for Sunday. This should be a fun and productive week.